A personal injury claim is brought when the person that has hurt you was "negligent." Being negligent basically means that the person that hurt you acted carelessly or unreasonably causing you to get hurt. If you can prove that your injuries were caused by someone else's negligence you can recover money damages from that person or their insurance company. 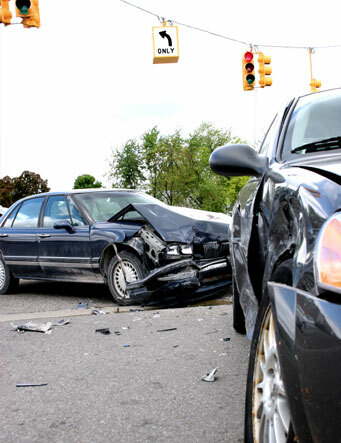 Most of the time, a person will have insurance to pay for any injuries that they cause as a result of being negligent. In Connecticut if you are hurt by someone else, there are two types of damages that you can recover. These two types of damages are economic damages and non-economic damages. Economic damages pay you for things like your medical bills and your lost wages. Non-economic damages pay for the permanent nature of your injury, the emotional distress that you may have as a result of your injury and the pain and suffering that you endure as a result of being hurt. Once you file a personal injury claim the insurance company will likely contact you and try to resolve your claim with you. Don't be fooled! The insurance company is not interested in paying you a fair settlement. The insurance company's job is to settle your claim for as little money as possible. Most people don't really know what their claim is worth. That is why it is important to hire a lawyer to fight for you as soon as possible. Over the years we have handled countless personal injury claims, many of which were referred to us by other lawyers or former clients. Most personal injury cases end up settling before trial. However, you can be assured that if your case cannot settle we have the skill and resources necessary to bring your case to trial. That's what it means to be a trial lawyer.